Are you looking for a handicapped stair lift that can provide independence and mobility for a disabled individual? Indy Stair Lifts offers a variety of handicapped stair lift models that are perfectly suited to help disabled individuals use the stairs that provides the freedom to enjoy all floors of the home. Our handicapped stair lift models come in straight and curved varieties to accommodate different staircase styles. For straight staircases, we suggest the Indy Pinnacle and Indy Lux models. The Indy Pinnacle extends 11 inches from your wall and is our most compact handicapped stair lift model. It’s ideal for narrow staircases in older homes or anyone who wants a compact lift. Its handy safety features include a sensor that stops the lift when it meets an obstruction. It also comes with a comfortable adjustable seat that swivels at the upper landing for easy exit and entry. The Indy Lux is another exceptional handicapped stair lift model. Its 400 pound weight capacity suits a variety of body types and sizes with a seat width of 21.75 inches. It has a swivel seat for easy exit and entry with a compact design allows guests to climb the stairs away from the stair lift. Curved staircases often provide problems for stair lift customers, but the Indy Curve is customized to fit the exact specifications of your stairway with all the safety features of our popular models, including swivel seat and adjustable seat height and armrests. It supports up to 400 pounds with a seat width of 21.5 inches that curves around your stairway comfortably. We are offer 10 year warranties with all of our handicapped stair lift models, which beats our competitors by many years. We also offer 24/7 round the clock service to assist you with at any time. 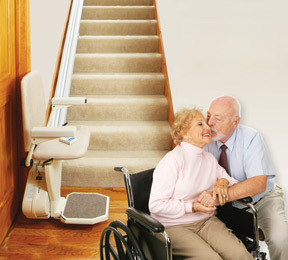 We are happy to provide more information about our top of the line handicapped stair lift models. 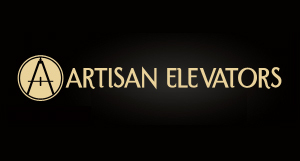 Call 1-888-203-5754 at your earliest convenience and speak with one of our experts who will help you select the best lifts for your home and arrange a home inspection to determine the best model for your stairway and plan installation by our professional technicians. Contact Indy Stair Lifts to learn about the handicapped stair lift that will enhance the independence of disabled individuals.